Become part of our extended family under the tutelage of Professor Flavio Da Silva. 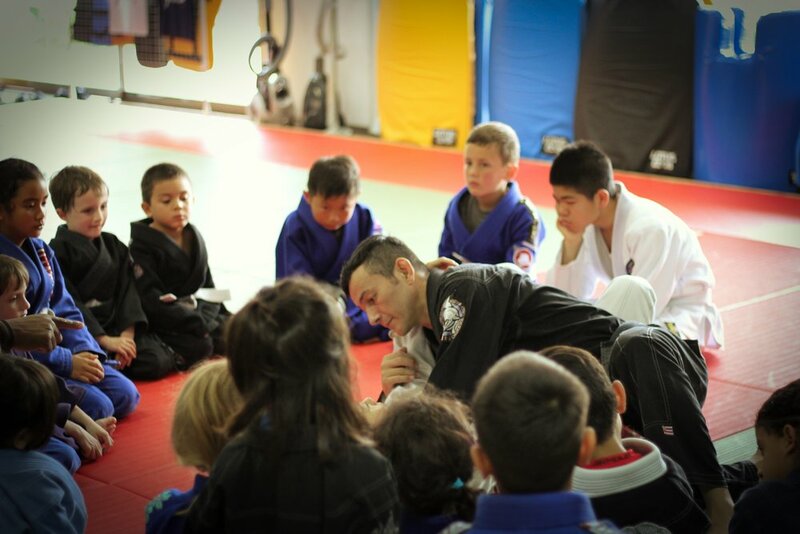 Through Jiu-Jitsu you will experience a supportive community as you pursue your goals. Kid's classes are offered five times a week at four different locations and cover all skill levels. Adult classes are offered at four different locations all throughout the week with open mat on Saturdays. Fees are paid monthly in $USD and due the first of each month. There are two plans for members: Basic and Unlimited. Basic membership includes 2 classes per week. Additional classes are $5 per class. Unlimited membership allows you to train as often as you can. Due to the unique nature of our team and location, we understand there will be time periods when other commitments disrupt your ability to train with us as often as you would like. If it's work or vacation pulling you away from the mats, simply communicate with Flavio or Yoko about your situation. You may suspend your monthly dues until you can return full time. During your hiatus, you may find you can get one or two classes into your schedule. In this case, you may forgo the monthly fee and simply pay $10 USD per session. For absences longer than 3 months, membership privileges will be revoked. However, you are free to renew whenever you are able to resume training. Kids Basic - $50/month, due at the beginning of the month. Includes 2 classes per week. Additional classes are $5 per class. Kids Unlimited - $70/month, due at the beginning of the month. Train as much as possible. Adult Basic - $80/month, due at the beginning of the month. Includes 2 classes per week. Additional classes are $5 per class. Adult Unlimited - $100/month, due at the beginning off the month. Train as much as possible. We often get inquiries from visiting jiujiteiros regarding drop in classes. In these instances, our fee is $20 per session. Feel free to drop in for class at any of our four locations. Adult Open Mat goes on Saturdays at WKO Dojo. In Japan, the Nio guardian figures are named Misshaku Kongo 密遮金剛 (aka Agyo 阿形) and Naraen Kongo 那羅延金剛 (aka Ungyo 吽形). They represent the use of overt power and latent power, respectively. Naraen is also called Narayana (Sanskrit). Conceived as a pair, the Nio complement each other. Misshaku represents overt power, baring his teeth and raising his fist in action, while Naraen represents latent might, holding his mouth tightly closed and waiting with both arms tensed but lowered. 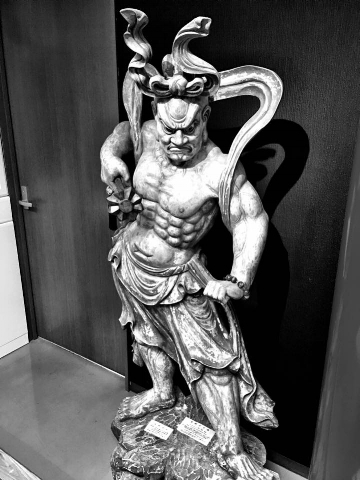 Dating as far back as the 7th century, the Nio are prominently displayed in our dojo to ward off evil spirits and keep the temple grounds free of demons and thieves. There are rumors that when all have left the dojo, Misshaku & Naraen conduct their own sparring sessions.